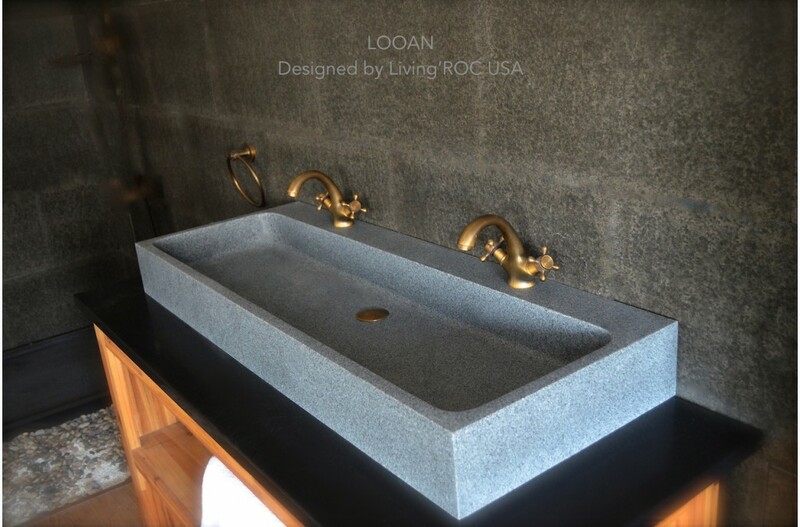 LOOAN is a 47-1/4" x 18-1/5" x 5-1/5" rectangular natural stone Bathroom trough sink with two faucet holes made in and carved from a a genuine Deco Trendy Gray Granite Block. 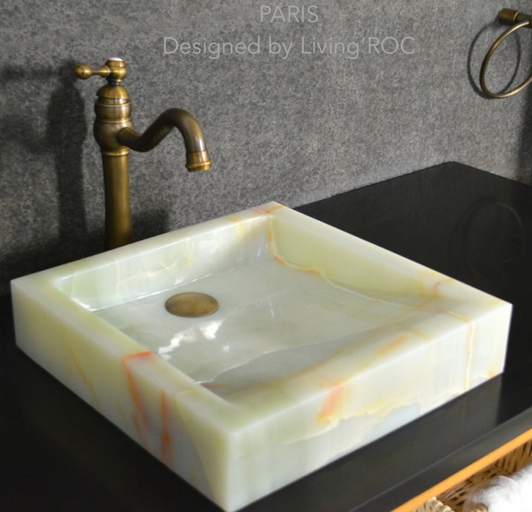 You will definitely not let anyone feel indifferent with this 100% natural stone unique in the US and exclusively available on Livingroc.net. Discover the well-being provided by our piece of granite stone; Aesthetic and practical, its beautifully curved inner sides allows an easy flow and minimal maintenance. Find the real natural stone authentic qualities, in sober and sleek lines with LOOAN. All our basins are made from high quality standard grade A, pure genuine materials that will last for years to come. Granite is a material perfectly adapted to bathroom uses. All of our vessel sinks are the creation of a combined group of talented masons dedicated to the idea of creating bathware made from natural stone material, which is environmentally friendly. Waterproofed LOOAN is ready to use, sitting on a vanity counter top. If you wish to standardize your project, you can choose among a wide range of our Trendy gray granite shower trays carved from the same material (very similar color and same honed finish) as it came from the same quarry and most often from the same block of stone. Spacium, Palaos, Quasar or Dalaos. Gray granite is most popular granite for your kitchen and bathroom countertops. Gray granite goes well with most light woods and even white or glass features.